We're taking a short break from introducing this year's senior faculty to offer some reminiscences from a former June in Buffalo participant, composer David Smooke (JiB '99). Says David, who's now a member of the composition faculty at the Peabody Conservatory of Music in Baltimore, "My June in Buffalo experience was one of the formative moments of my compositional career. I made friendships among my compositional peers that remain strong over a decade later and enjoyed hearing music from many different styles over the course of the festival. The music and masterclasses with the guest composer Jukka Tiennsu made an especially strong impression on me, opening my ears to musical ideas that remain quite dear to me. "At the festival, I encountered recent experiments in microtonality and in the utilization of natural sounds in compositions in ways I had never before considered. In addition, June in Buffalo was the first opportunity that I had to work closely with professional performers, and some of these performers remain friends and advocates to this day." At David's website, www.davidsmooke.com, you can hear samples of his beautifully-crafted and engaging scores, and view some videos involving his music. Here are two, one lyrical and reflective (blades, for whistling and singing cellist) and the other funky and playful (Four Score, for toy piano and two violas). Do you have June in Buffalo stories and memories to share? Drop us a note at c21cmusic [at] the mail with the 'G' and we may just post them in this blog. Doesn't matter if they're serious, trivial, life-changing, or funny...bring them on! June in Buffalo's senior faculty members are not only distinguished composers, but dedicated teachers. Augusta Read Thomas, returning to June in Buffalo for 2010, is a case in point. She is one of the most widely performed composers of her generation, with no fewer than 36 commercial recordings to her credit. Her music has been championed by conductors Daniel Barenboim, Pierre Boulez, Esa-Pekka Salonen, Oliver Knussen, Seiji Ozawa, Mstislav Rostropovich, Leonard Slatkin, David Robertson, and Christoph Eschenbach. At the same time, Thomas describes teaching as a deeply felt commitment, and an integrated part of her creative existence. She taught composition at the Eastman School of Music from 1993-2001, and from 2001 until 2006 was the Wyatt Professor of Music at Northwestern University. She frequently undertakes residencies in colleges, universities, and festivals across the country and in Europe; in the summers she often teaches at the Tanglewood Music Center, and was the Director of the Festival of Contemporary Music at Tanglewood in 2009. For 2009-2011 she is teaching and mentoring 10 high school-aged composers in the state of Connecticut. Each composer will have his or her new piece premiered by the New Haven Symphony in May 2011. Here is Rachel Barton Pine in Augusta Read Thomas's dramatic and moving Caprice for solo violin. Roger Reynolds, another frequent member of June in Buffalo's senior faculty, returns for this year's festival. His music will be performed by the Slee Sinfonietta on June 2 and by the Arditti Quartet on June 5. An influential teacher, his students include Michael Daugherty, Paul Dresher, and the Center's own David Felder. Born in 1934 in Detroit, he studied music and science at the University of Michigan - a background that foreshadowed his subsequent explorations of advanced musical technology. His aesthetic outlook was jointly shaped by the American Experimental tradition and - through his teachers Ross Lee Finney and Roberto Gerhard - also by the Second Viennese School. Reynolds refuses categorization, responding to the variety of the contemporary world with a uniquely diversified output - music now increasingly concerned with myth, text and space-ranging from the purely instrumental and vocal to involvements with computers, video, dance and theater. He is a member of the faculty at the University of California, San Diego, where he was the founding director of the Center for Music Experiment (now CRCA). Writing in The New Yorker, Andrew Porter called him "at once an explorer and a visionary composer, whose works can lead listeners to follow him into new regions of emotion and imagination." Among numerous other awards and commissions, he won the 1989 Pulitzer Prize for his Whispers Out of Time for string orchestra. Reynolds's music is widely recorded. Among the items in his discography is a portrait disc titled Three Circuitous Paths to the Music of Roger Reynolds, performed by the June in Buffalo Ensemble under Harvey Sollberger and Jesse Levine, and released in 2005 on the Neuma label. It includes Transfigured Wind III (flute, tape, and orchestra), Ambrages (solo flute), and Mistral (orchestra). Sadly, it's out of print, but you might find a copy if you're lucky. Above: Roger Reynolds at June in Buffalo, 2004. Photo by Irene Haupt. Steve Reich has been a frequent presence at June in Buffalo ever since the festival's second iteration in 1976, when five of his works were performed. It's fitting, then, that June in Buffalo 2010 opens on May 31 with an evening of his music. Signal, under the direction of Brad Lubman, will perform Reich's Sextet (1984-85) and its successor, the Pulitzer Prize-winning Double Sextet (2007). Reich considers the score "one of the better pieces I've done in the past few years." Bernard Rands, a returning member of JiB's senior faculty, was born in Sheffield, England in 1934, he has been an American citizen since 1983. He is a dedicated teacher, both at Harvard, where he is the Walter Bigelow Rosen Professor of Music, and at summer festivals such as Aspen, Tanglewood, and June in Buffalo. His work Canti del Sole, premiered by Paul Sperry, Zubin Mehta and the New York Philharmonic, won the1984 Pulitzer Prize in Music. His large orchestral suite Le Tambourin won the 1986 Kennedy Center Freidheim Award. Conductors who have championed his work include Barenboim, Boulez, Berio, Maderna, Marriner, Mehta, Muti, Ozawa, Rilling, Salonen, Sawallisch, Schiff, Schuller, Schwarz, Silverstein, Sinopoli, Slatkin, von Dohnanyi, and Zinman, among others. His 20-minute score Chains Like the Sea, commissioned by the New York Philharmonic, was given its premiere by the orchestra in October 2008. Wrote Steve Smith in The New York Times, "Mr. Rands... creates pieces filled with technical demands that make them gratifying to the performer, as well as sufficient sensual beauty to appeal to listeners. Poetry has provided the spark for some of his strongest creations; Chains Like the Sea, an instrumental work about 20 minutes long, was inspired by Dylan Thomas’s Fern Hill. Certain phrases, Mr. Rands explained in a program note, conjured memories of early years spent in Wales. "True to its title, The Sabbath Rang Slowly, the first of two sections, was a broadly paced sequence punctuated with bell tones made from stacked notes that shimmered and rippled in combination. Patches reminiscent of Debussy seascapes and early Stravinsky lullabies floated in a dreamlike drift, meant to evoke the tedium of slow, pious Sundays. A more animated second part, Rivers of the Windfall Light, repeatedly surged with chattering gusts of horns, brass and percussion. Mr. Rands has an unerring knack for lucid orchestration; here, scintillating details regularly pricked through an overall melancholy tone. A brief, gentle duo for solo violin and muted trumpet midway through the second part, for instance, seemed to leave behind a humid, bluesy wilt in its wake." In this video, Rands describes the genesis of Chains Like the Sea. For emerging composers, one of the vital attractions of June in Buffalo is the opportunity to attend seminars and master classes with the festival's senior faculty. Over the years, eminent composers from around the globe have taken part -- a veritable roll call of leading 20th- and 21st-century compositional giants. 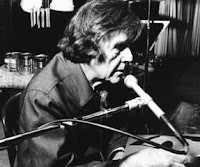 The list includes Milton Babbitt, Henry Brant, John Cage, Elliott Carter, Aaron Copland, Jacob Druckman, Morton Feldman, Lejaren Hiller, Lukas Foss, Otto Luening, Conlon Nancarrow, Pauline Oliveros, Bernard Rands, Steve Reich, Poul Ruders, Frederic Rzewski, Ralph Shapey, Leo Smit, Virgil Thomson, and Charles Wuorinen. Along with David Felder, this year's senior faculty members include Steve Reich, Roger Reynolds, Bernard Rands, Augusta Read Thomas, and Olivier Pasquet. Each brings an invaluable compositional perspective to the festival. Over the next several weeks, we'll be introducing each of them a little more fully. Applications for June in Buffalo 2010 have been received and the participants are now being chosen. Watch this space for a list of the lucky composers who will have the opportunity to take part in a week of seminars, lectures, master classes, workshops, professional presentations, participant forums and open rehearsals, as well as afternoon and evening concerts open to the general public and critics. Each of the invited composers will have one of his/her pieces performed during the festival. Meanwhile, the evening concert schedule for the festival -- a fabulous array of programs by the Arditti Quartet, Signal, the Slee Sinfonietta, and other leading ensembles -- can be viewed here. As is customary, June in Buffalo ends with a concert by the Buffalo Philharmonic Orchestra, heard this year under the baton of JoAnn Falletta in works by David Felder, Augusta Read Thomas, and Bernard Rands. The Center's Director, David Felder, has just been recognized by the American Academy of Arts and Letters. He is one of sixteen recipients of this year's awards in music, which total $170,000. The winners were selected by a committee of Academy members: Robert Beaser (chairman), Bernard Rands, Gunther Schuller, Steven Stucky, and Yehudi Wyner. Candidates for music awards are nominated by the 250 members of the Academy. 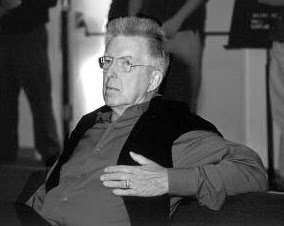 Felder is one of four composers to receive a $7500 Academy Award in Music, which honors outstanding artistic achievement. Each composer will receive an additional $7500 toward the recording of one work. The other winners were Daniel Asia, Pierre Jalbert, and James Primosch; the awards will be presented at the Academy's annual Ceremonial in May.